This past Monday, Apple held their keynote for the opening of their annual developer conference, WWDC. Apple announced iOS 12, watchOS 5, macOS Mojave and some minor updates to the Apple TV. Overall, I was impressed with Apple’s offerings. iOS 12, according to rumors, was supposed to be a somewhat light release. I would say Apple exceeded my expectations. I thought I would compile a list of my favorite announcements from the 2018 keynote. I love Apple CarPlay. If you do not know what it is, it is basically a way to mirror what you have on your phone to your car’s in dash display, but in a safe way. You can summon Siri, listen and respond to texts by voice, listen to podcasts, music and audiobooks and my most utilized feature, use Apple Maps. This brings me to why I am excited for an updated version of CarPlay. Starting in iOS 12, third party map apps like Google Maps and Waze will be compatible with CarPlay. So for those who do not care for Apple Maps, here is your solution. Apple said that iOS 12 will be compatible with all of the same devices that ran iOS 11. If your current device runs iOS 11, you are in luck, and will be able to update to iOS 12 when it releases in the fall. Below is a list of the devices iOS 12 is compatible with. Since they are keeping it compatible with so many older devices, Apple decided that they would focus on performance. iOS 12 will be 40% faster, the keyboard will load 50% faster and can slide over on the lock screen to take a picture 70% faster. This is awesome. It is all of these small actions that you really do not notice until they are the ones that slow down significantly. Even if it is a second faster, for how many times we unlock our phones and use them throughout the day, those seconds add up to minutes saved, very quickly. Memoji, yet another term Apple has created. Do you remember Animoji from the iPhone X? Well this is it but a more personal iteration. 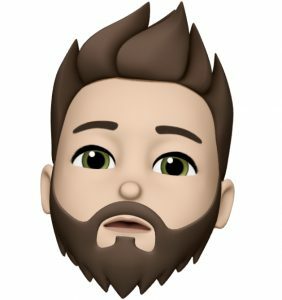 Memoji is a way to make a Animoji-like character and make it like YOU! I am not a fan of the Animojis but I do think I will use the Memoji’s quite a bit. You can use this character to make little video recordings talking or replace your real face with the Memoji face in pictures. This could end up being a flop but I truly believe this will push people to buy the iPhone X and whatever other phones, that incorporate Face ID, that come out later this year. Apple is finally allowing us to make group FaceTime calls! Not only that, but you will soon be able to FaceTime with up to 32 people! I wish I knew 32 people to FaceTime with to try this out. I have to say, this is going to be pretty impressive if Apple can pull it off smoothly. Screen Time is a new feature coming to iOS 12 that will show us all how much we use our phones. This may be somewhat scary but I think it is needed. Most of us have an unhealthy relationship with our phone. I always have. I wouldn’t be where I am without it though. It has allowed me to keep in touch with family while overseas, manage my finances, do business and play plenty and plenty of games. While all of that is great, what’s not great is when you are wasting so much time scrolling through a Facebook or twitter feed that is getting you nowhere in life. With Screen Time, Apple will give you stats on your mobile life from how many times you pick up your phone to how much time you spend on a certain app. This will also be a welcome feature for parents who want to limit their children’s usage. One thing I missed about my Fitbit was the competitions. Not that it mattered, my mom always beat the rest of the family, but they were fun. And it was motivating. Apple is bringing weekly competitions to the Apple Watch. For how much the Apple Watch is growing, this is going to be an awesome addition. Still focusing on fitness, the Apple Watch is gaining workouts for yoga and hiking. I have been on a running kick since the weather has warmed up and the Apple Watch is expanding the features of the running workout. You can now set a target pace, have a rolling mile and have a cadence count to make sure you are hitting your goals. Another welcome feature on the Apple Watch is that it will detect when you start and stop a workout. I can’t tell you how many times my fiancé and I have forgot to end a workout and had logged a three hour run! There are so many more features that I have not even touched on. But stay tuned as I will be breaking down some different pieces of iOS 12, watchOS 5 and macOS Mojave.